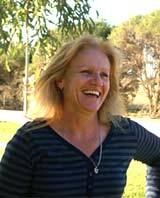 Morya mainly manages all the office administration, book keeping and accounts of the Reed Equestrian Australia family business and contributes in the yard and with riding when time permits. 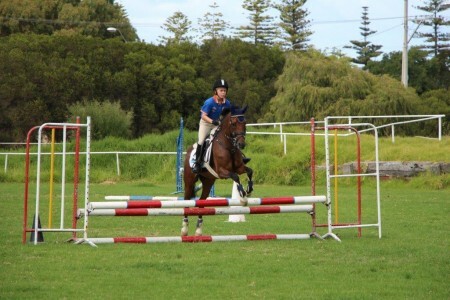 She has been involved with horses most of her life and has a background in showjumping – and eventing before that. Although Morya does not compete or jump anymore, she does like to ride when she occasionally gets the opportunity. Together we work as a team in the family business offering a wide range of individually tailored services for our clients in agistment, full care livery, coaching and horse training At competitions we all work as a team to ensure horses and riders are ready to give their best performance. At only 16 years of age, Conor has developed into one of the country’s leading Junior and Young Rider jumping competitors. This has been achieved through his hard work and dedication. His main team of horses, Nightwish, BoLuke, KP Irish One & Clasique Dorien range in age and experience and have all performed exceptionally well and been rewarded with their inclusion on the SA State Squad and sitting on top of the SA Jumping leaderboards. Sincere thanks are extended to the owners involved in some of these horses for their faith and commitment in allowing us to manage their competition development. 2017 Leading SA Junior Jumping Rider of the year. 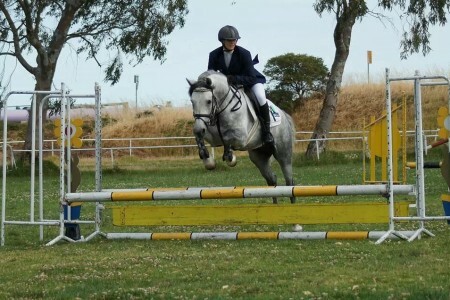 2017 SA State Jumping Championships – Junior title winner. 2017 Inaugural Gillian Rolton SA Young Rider Scholarship Award (Jumping). 2018 SA State Jumping Championships – Young Rider title winner. 2018 Youth Olympic Games – selected as one of top 4 for the selection training camp. Conor is currently studying Year 11 at Trinity College in SA and manages to combine his study with a comprehensive training and competition schedule. In addition, Conor has his sights set on one day representing Australia at the highest level. We all wish him well on his journey to achieve these goals and endeavor to give him every opportunity we can to help him succeed. 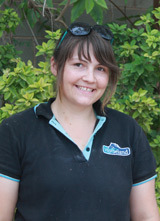 Claire is a highly-valued member of the team and a great find living locally in nearby Angle Vale. 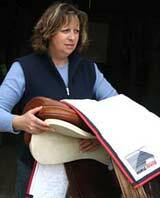 She is an experienced horse-person and has horses of her own that she rides and shows. Claire’s main role at the NEC is managing the day-to-day duties during the week. She works with the horses every day and is involved in all aspects of their care including feeding, cleaning, grooming, washing and tacking-up. In addition, Claire makes up all individual feeds, administers general medications and first aid and takes care of all riding and show equipment. Claire is ‘one of a kind’ and we could not ask for a more reliable team member! Jason works at the NEC on a part-time basis, with his main role managing the facilities. 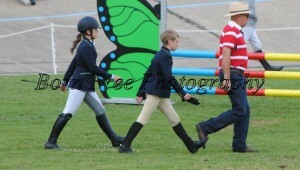 He is responsible for the upkeep of the indoor and outdoor arenas and general property maintenance. Jason also manages the yard on the weekends and is trusted to take care of the business in our absence when we are away. 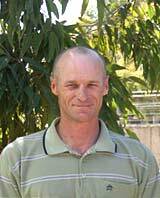 We value Jason’s skills, utilising all of his knowledge and experience having worked around horses most of his life. As well as riding competitively in his younger years, Jason has also worked as Stable Manager in a large overseas Polo/Equestrian yard. In his spare time, Jason trains in Karate (Black Belt) and is heavily involved in the coaching. Jason is an important member of the team and plays a big role in the success of REA business. 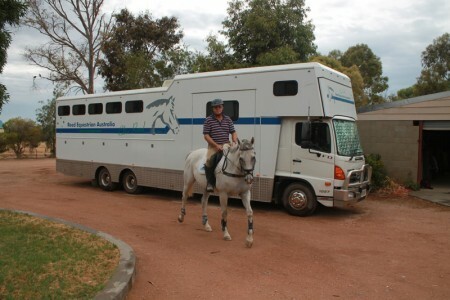 Gill is a life-long friend, and a integral part of the Reed Equestrian Australia team. Gill has been around horses all her life with a background in showjumping herself. Gill is considered one of the family and still plays a big part at some of the competitions working tirelessly in the background organising the stables, truck, horses, riders …and Rory. Gill ensures everything runs like clock-work and we are assured the horses (and their riders) will be organised and ready for their events on time. Her attention to detail is first class and she knows how to keep everything running smoothly. Gill is a great asset to the team and contributes to our success. Peter is officially “retired” but has worked part-time at the NEC close to two decades! 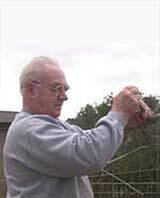 He is responsible for all areas of maintenance on the property whether stables, paddocks, arenas or the house. Peter, our helpful Handyman is always willing to fill the role of plumber, electrician, carpenter, welder, painter, builder, cabinetmaker, gardener, mechanic, truck/float repairer, and even designer. No task is ever too hard. Peter continues to be a valued contributor to our business. We would most certainly be lost without him! 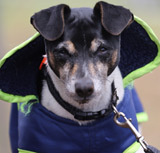 Rory is the family dog, named by Conor after his favourite Adelaide Crows AFL player. This Tenterfield Terrier sometimes gets to travel to competitions with us and although he occasionally has some separation anxiety when left alone at the truck, he is generally well behaved. His lifelong ambition is to catch a bird, which he tries very hard to do every day. His greatest love (outside of a sleep-over at Gill’s house) is to run and bark – and run and bark some more! Rory’s main claim to fame is being the star of “Release the Dog” . Some of you have been lucky enough to witness this performance, others have not been so lucky playing a supporting role!!! 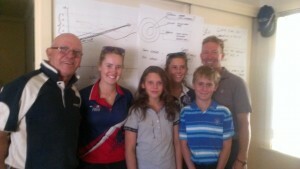 Welcome to Reed Equestrian Australia.